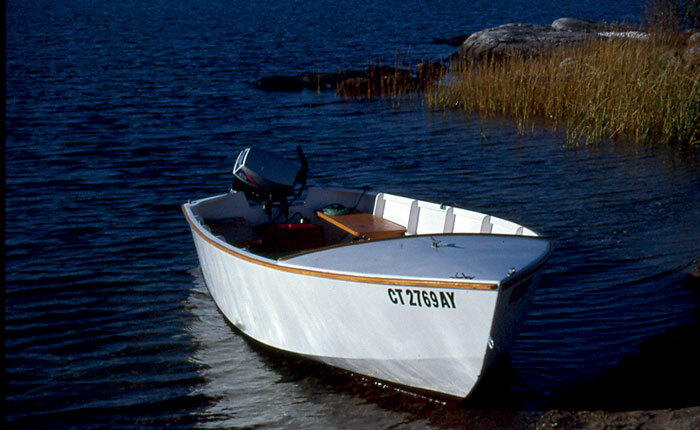 Anita Repp has a new 15' skiff, PENELOPE, built by her husband Doug, for fishing and picnicking. 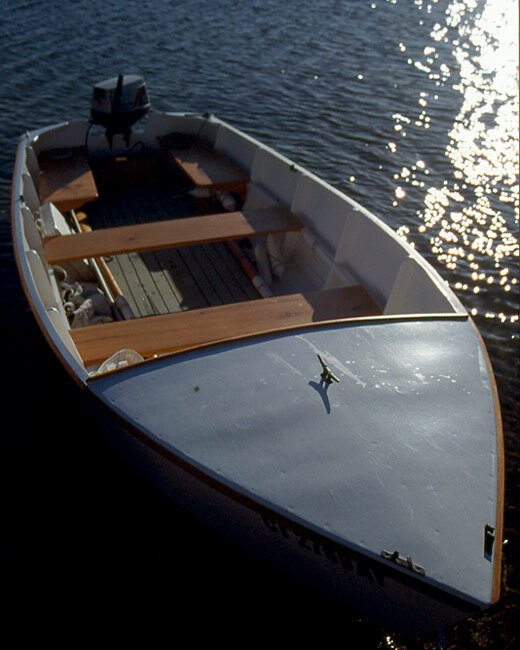 Doug made PENELOPE with plywood planking on pine frames, and he use fir for the keel and chines. The hull is covered in epoxy and fiberglass cloth. She looks like a miniature PT boat hull that goes quite well with an 8-hp outboard motor. 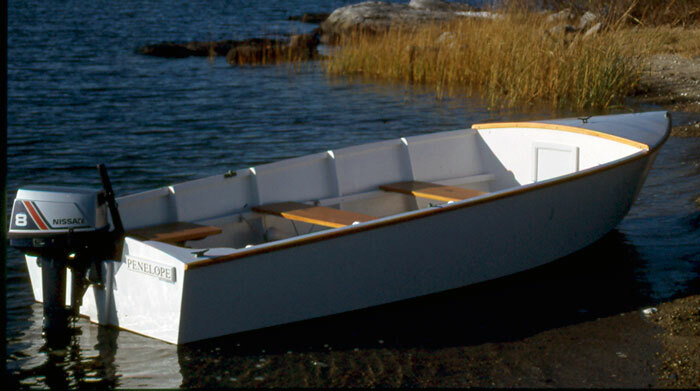 Plans were from Boatbuilding in your Own Backyard by S. S. Rabl.